Also, a TRAILER of Book II follows, just Click on the link below the screen! ***CLICK here to view a TRAILER of BOOK II of "TAKE ME BACK TO BEALE"! "TAKE ME BACK TO BEALE" is being considered to run in the HOLLYWOOD FILM FESTIVAL in LA! (So stay tuned for updates on showings of "TAKE ME BACK TO BEALE"! 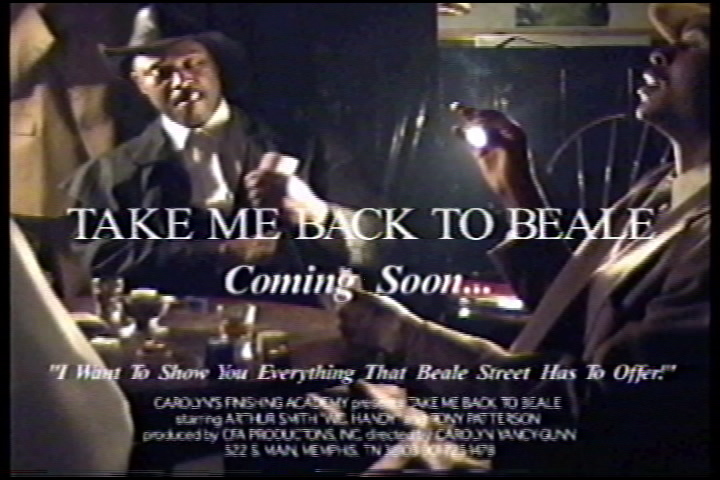 "TAKE ME BACK TO BEALE" is under consideration to run, this coming Fall, at the NEW DAISY THEATER on BEALE STREET! Also, "TAKE ME BACK TO BEALE" is being considered to run at the CLARKSDALE BLUES MUSEUM and at the MEMPHIS PINK PALACE! **Click here to REGISTER for Acting Classes at CAROLYN'S FINISHING ACADEMY, if you are interested in acting in a movie, like "TAKE ME BACK TO BEALE"!